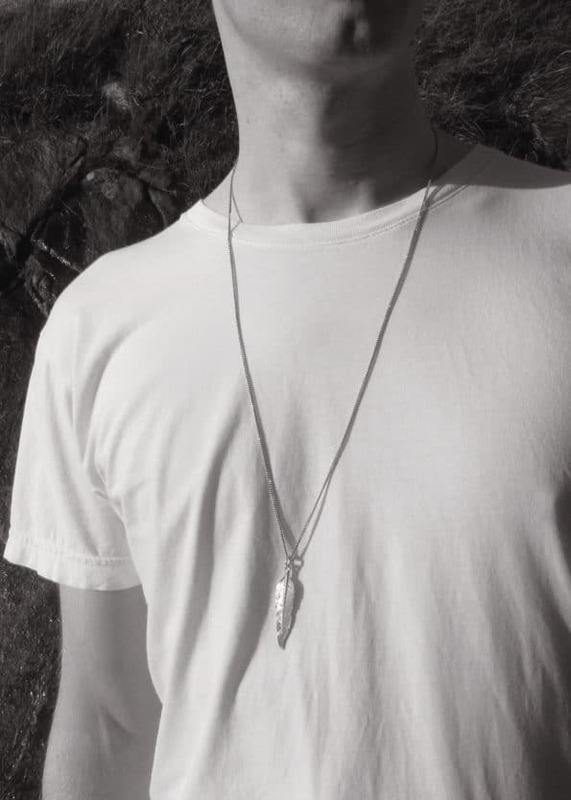 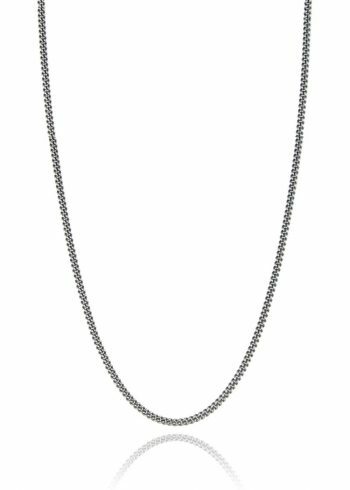 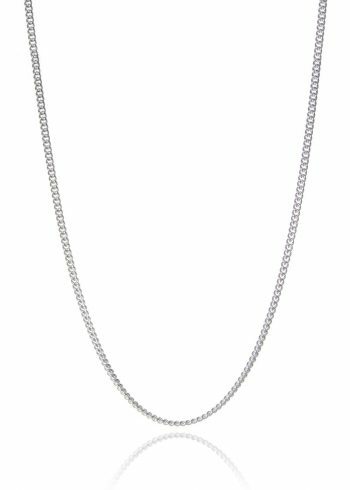 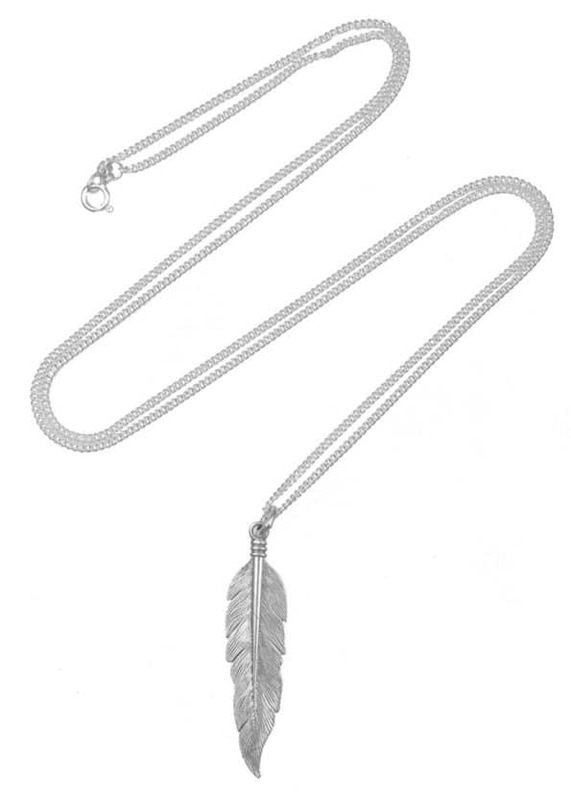 This necklace features a large feather pendant on a 30” (76cm) medium curb chain in Sterling Silver. 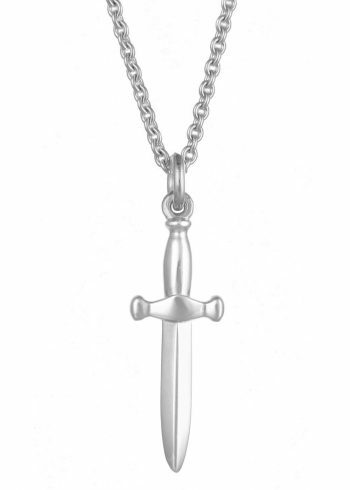 You can choose from a bright silver or oxidised silver chain (oxidisation gives a darker, antique look). 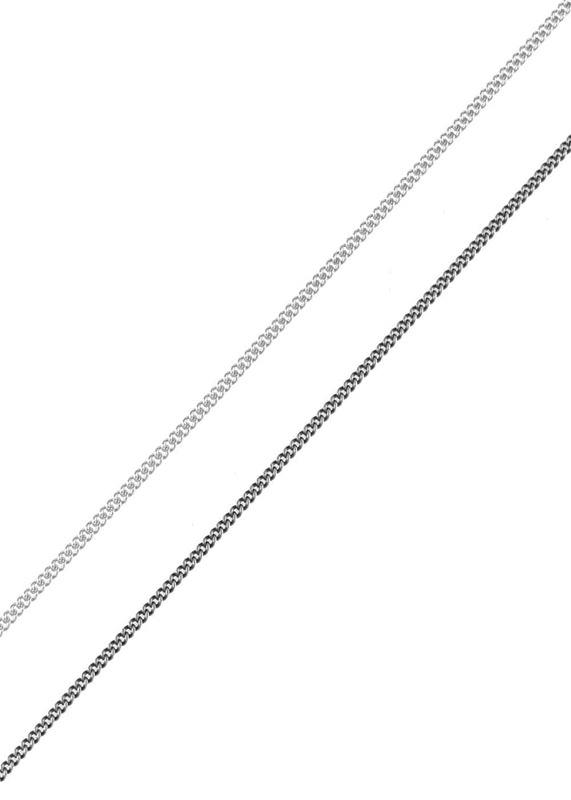 If you would prefer a different length or style of chain all of the pendants and chains are sold separately, so you can combine them however you like to make your own personalised necklace. 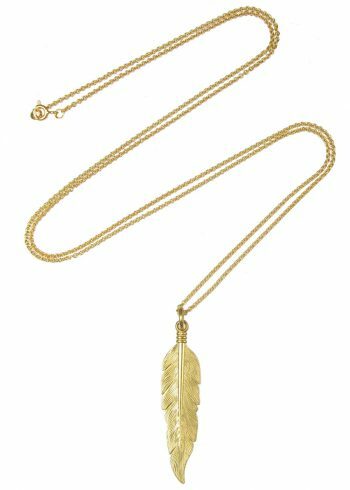 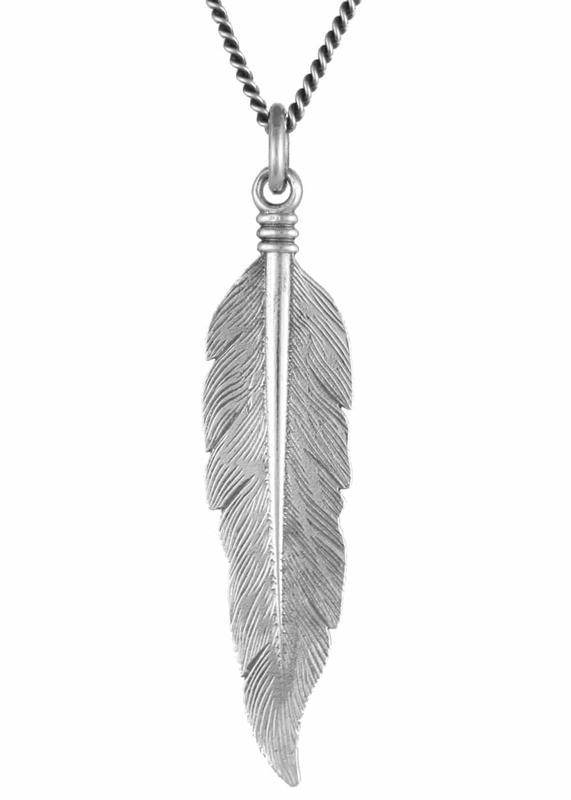 The feather pendant has a solid feel but with delicate engraving to replicate the texture of a real feather. 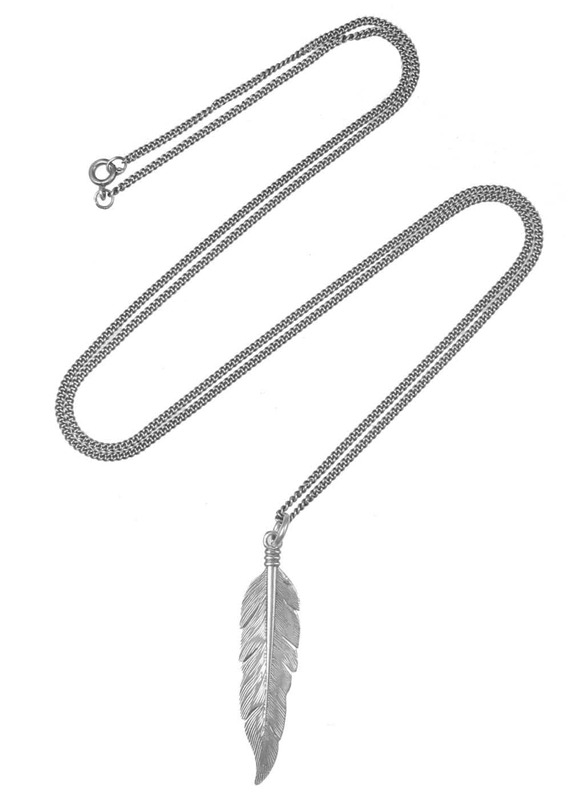 Feathers are thought to stand for ascendance, flight and communication with the spirit world. 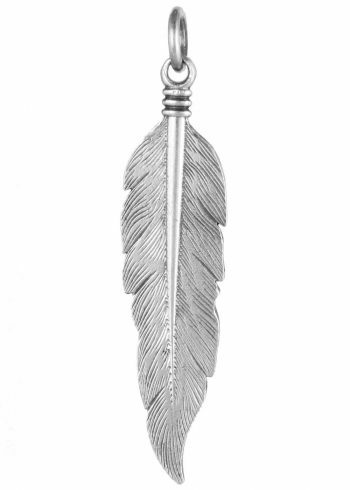 In Native American culture feathers are believed to carry the spirit of the bird, to be the connection between heaven and earth.